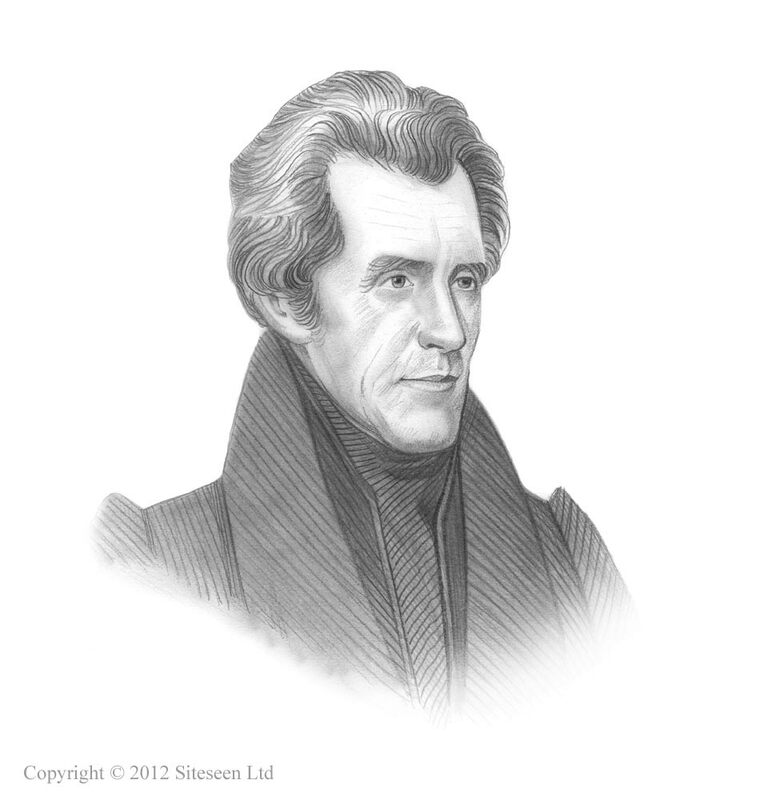 Nat Turner's Rebellion: Andrew Jackson was the 7th American President who served in office from March 4, 1829 to March 4, 1837. One of the important events during his presidency was Nat Turner's Rebellion in 1831. Summary and definition: Nat Turner's Rebellion, also referred to as the Southampton Insurrection, was a slave revolt led by their religious leader, Nat Turner, that started on August 21, 1831 and was quashed within 48 hours. Nat Turner had been joined by about 60 slaves who killed up to 65 white people. The state executed 55 slaves, including Nat Turner who was captured on October 30, 1831. At least a further 200 slaves were murdered by white mobs fuelled by the hysterical climate that followed the revolt. Nat Turner's rebellion raised southern fears of a general slave uprising and had a profound effect on the attitude of Southerners towards slavery. 1823: Samuel Turner dies and Nathaniel and Cherry are put on the auction block and sold to different owners. 1825: Nathaniel experiences spiritual visions and slaves believe he has divine powers. August 21, 1831: A solar eclipse was seen as a sign to stage an insurrection. August 21, 1831: Seven men (Nelson Williams, Sam Francis, Jack Reese, Will Francis, Henry Porter and Hark Travis) dine with Nathaniel at Cabin Pond. The revolt begins that night. August 21, 1831: The Travis household was their first target - the entire family is killed. August 21, 1831: Other slaves join the revolt and the killing continued through the night until the next day. August 22, 1831: The slaves fought state and federal troops. Some were captured, others including Nathaniel escaped. The slave army dispersed. November 5, 1831: The trial at the Southampton County Court. Nathaniel is found guilty as an insurgent (rebel) and is sentenced to be hanged. November 11, 1831: Nathaniel is hung at noon. December 1831: "The Confessions of Nat Turner" were published in Baltimore, Maryland by Thomas R. Gray.